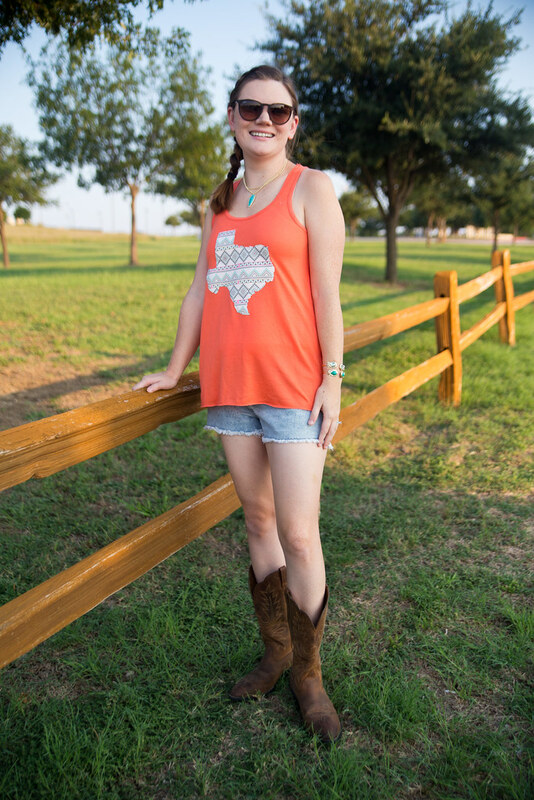 I am a total Texas girl, so when I saw this tank from Katydid Collection, I was instantly in love. 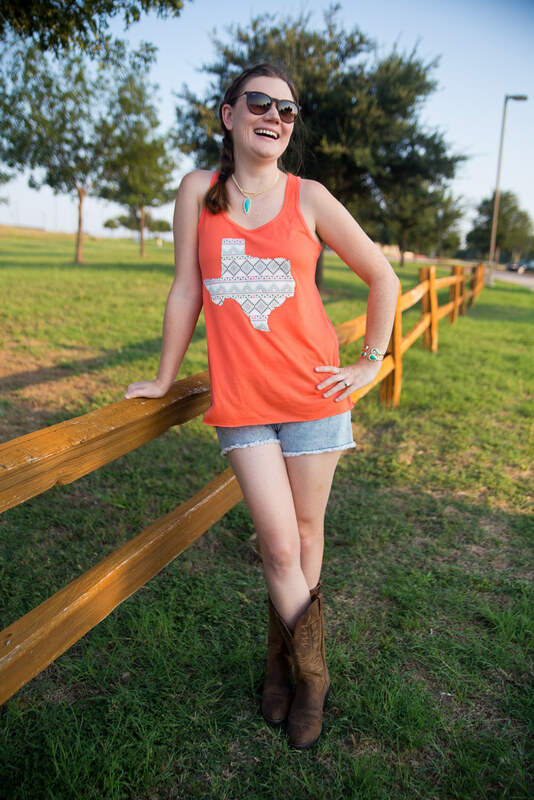 The bright coral color and blingy border are so fun, not to mention the cute pattern on the Texas silhouette. I paired it with my favorite summer shorts and some cowboy boots. I love a good pair of cowboy boots, but haven’t really tried to pair them with shorts before. But with some tips from my friend Jamie, I felt confident in rocking this look. Don’t miss how I styled this lightweight cardigan and this bright romper from the Katydid Collection. They have so many cute things in their Beach Getaway Collection! That is so cute! In fact, i will be buying one immediately. I love it! That is one of the cutest tanks ever, love it! Coral is a favourite colour of mine. 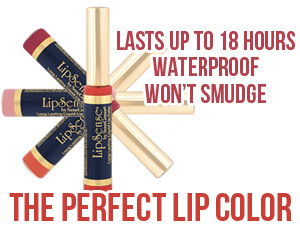 IT goes so well with your skin tone. 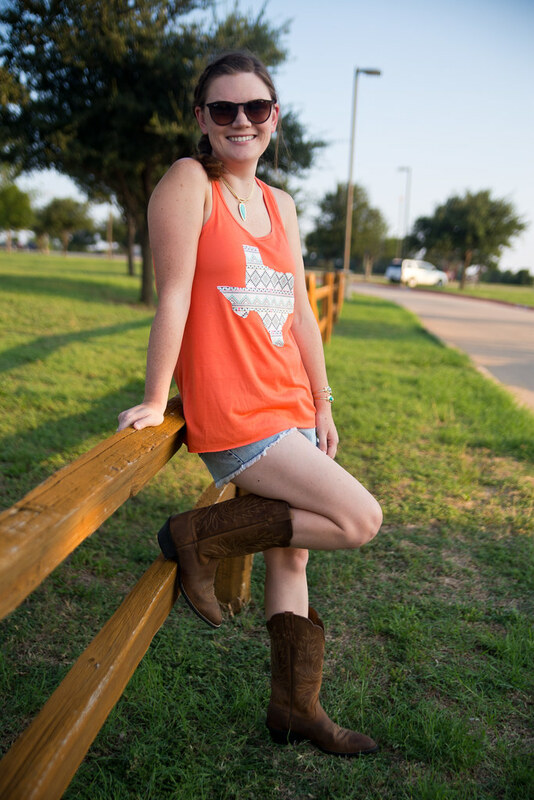 Your tank goes perfectly with denim shorts and the cowboy boots are amazing! 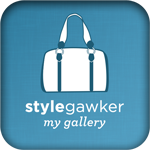 You look fantastic! 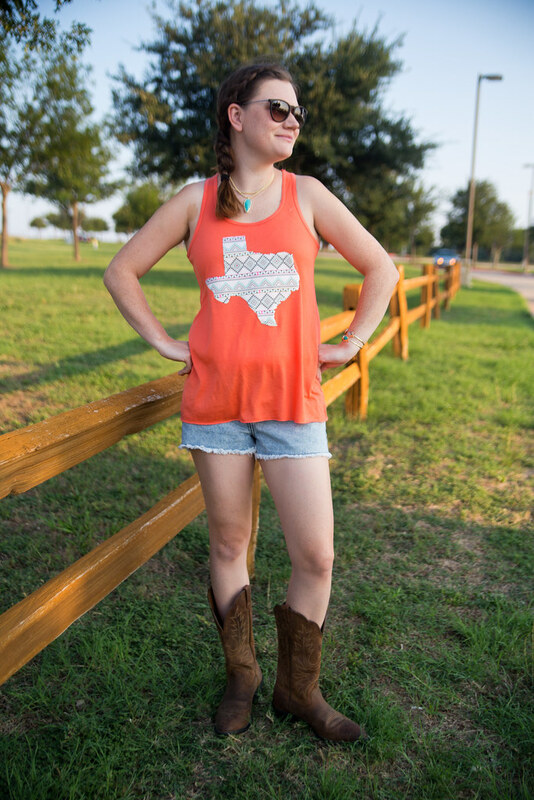 It’s such an incredible look…..love the Texas tank, I might have to head on over! Wonder if they have long sleeved ones for fall? This pulls as my heart strings as I will always consider myself a Texan! The tee is adorable! Loving this tank top! Especially paired with the boots! It’s all so darling and adorable! On another note!!! 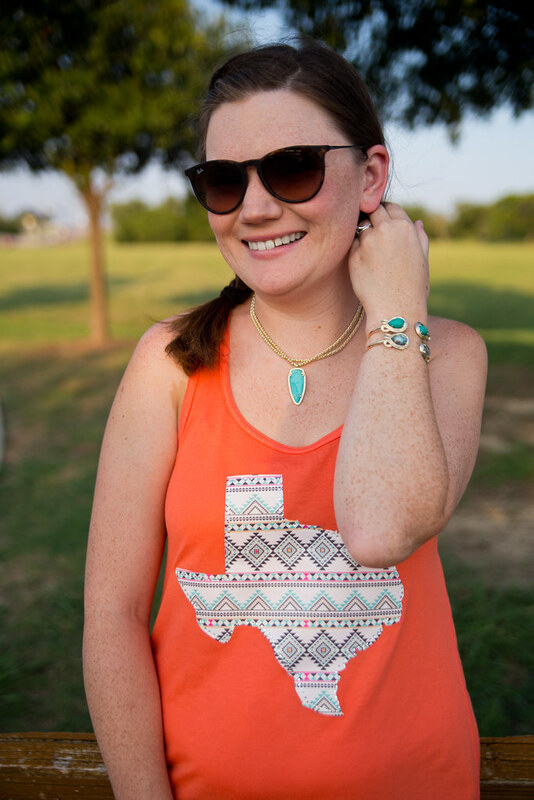 Thank you for linking up with us for Thursday Style Confessions! I hope that you will join us again this week!! !